With a ten-year-old daughter and four granddaughters, we’re all about rainbows and unicorns around here. We’re also all about crafting. 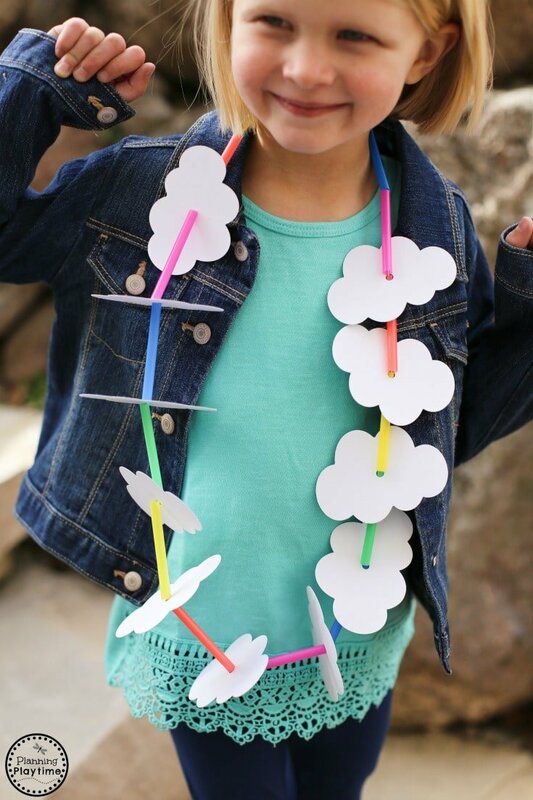 Simple is always best in my book, and this Rainbow Necklace craft fits the bill. We’ve even provided a free cloud printable—just print and cut. No free-hand drawing necessary. 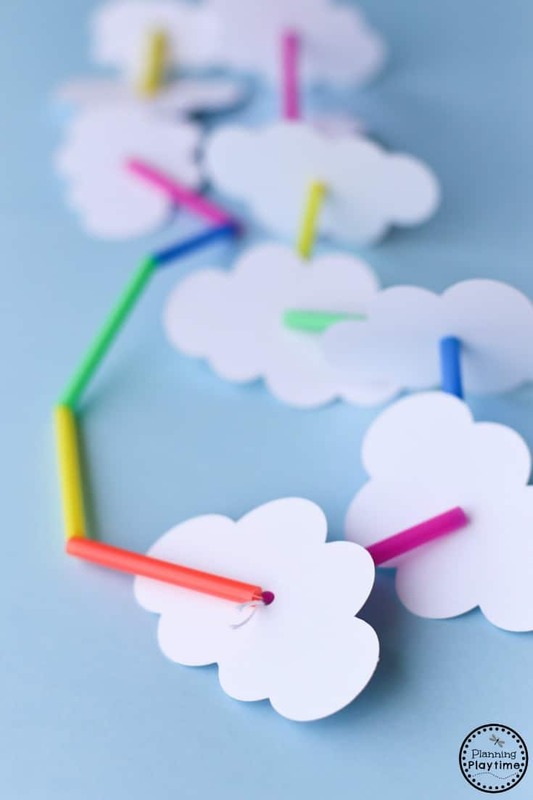 Stringing the clouds and straw pieces onto string, is a great way to develop your child’s fine motor skills. And kids can work on their preschool and kindergarten skills by following the color pattern. Free Printable Cloud pattern, or if you have a Silhouette download file here. 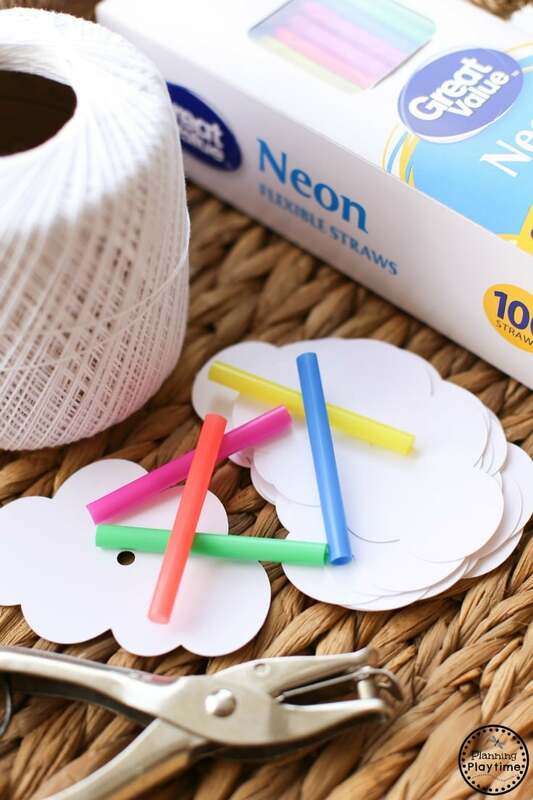 Cut straws into 2 ½” pieces. I used three of each color—red/orange, yellow, green, blue and purple. Print clouds on white cardstock, and cut out 11 for each necklace. Punch a hole in the center of each cloud. Make sure your hole isn’t larger than the straw, so they don’t fall through. You may need to use a smaller hole punch. Cut string about 48” long. Tape one end to the table to prevent the straws and clouds from sliding off while stringing, or tie an extra straw piece to one end. String one of each straw color in rainbow order—red/orange, yellow, green, blue, and purple–without clouds in between. This is so the necklace sits flat on your child’s neck. I created a small “needle” from a 4” length of pipe cleaner, to help my granddaughter thread the pieces more easily. It worked like a charm! 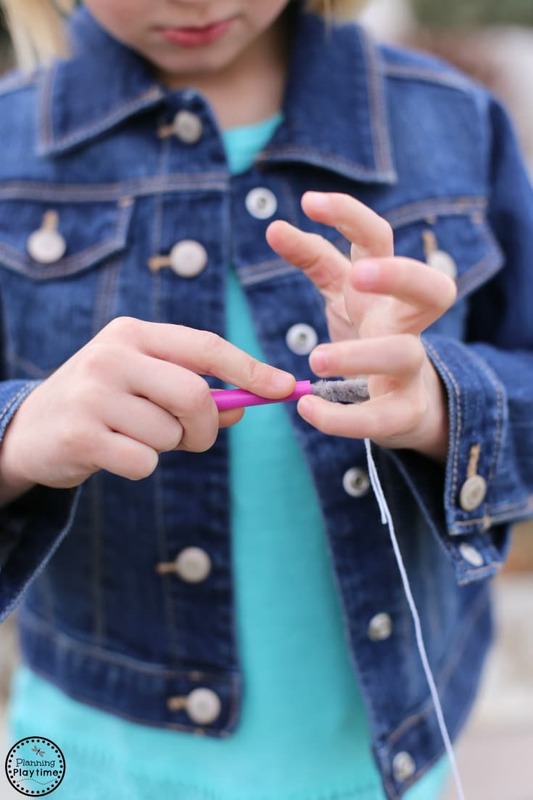 Simply fold over the end of the pipe cleaner about ¾”, tie the string at the fold, and twist. Now alternate stringing clouds and straws, in the same order. Start and end with a cloud and tie ends together with a few knots. 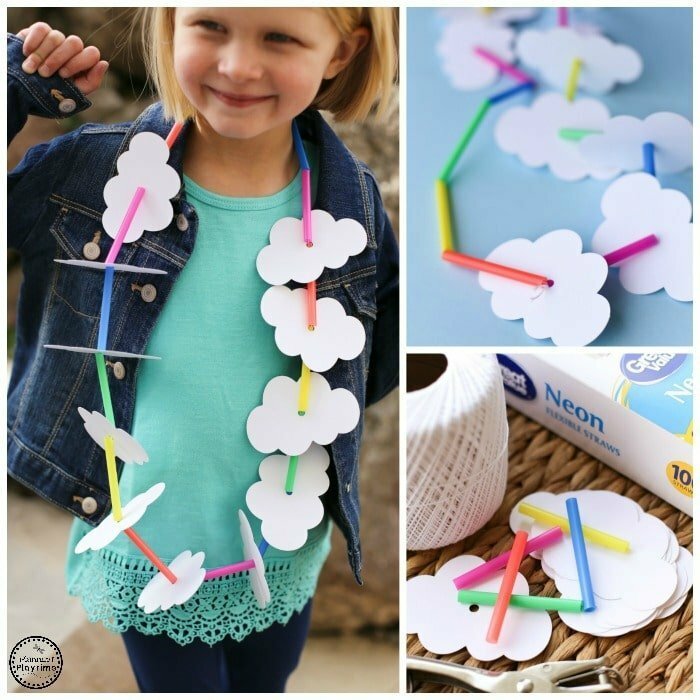 We hope you love making this rainbow necklace craft as much as we did. It’s guaranteed to bring sunshine to any day. While the supplies are still out, wouldn’t mom or grandma love one to wear too? Kim McCrary is the creative mom and grandma behind All Things Simple. You can find her blogging there or hanging out on Pinterest at OneSimpleHome.